LG has decided to unwrap the cover of LG G Pro 2 wll ahead of MWC in their homeland, Korea. The successor of the Optimus G Pro features a larger 5.9” Full HD IPS display and all other latest hardware inside starting with Snapdragon 800 CPU and 4K video recording. 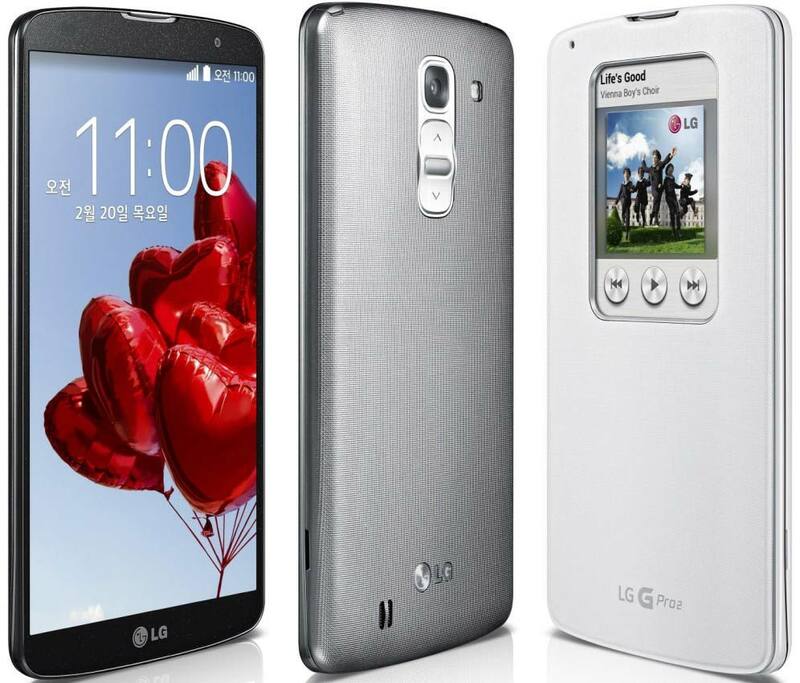 With a power/lock key and volume rocker located on its back, the LG G Pro 2 follows the design module of LG G2. LG will globally unveil this G Pro 2 phablet in MWC Barcelona later this month. 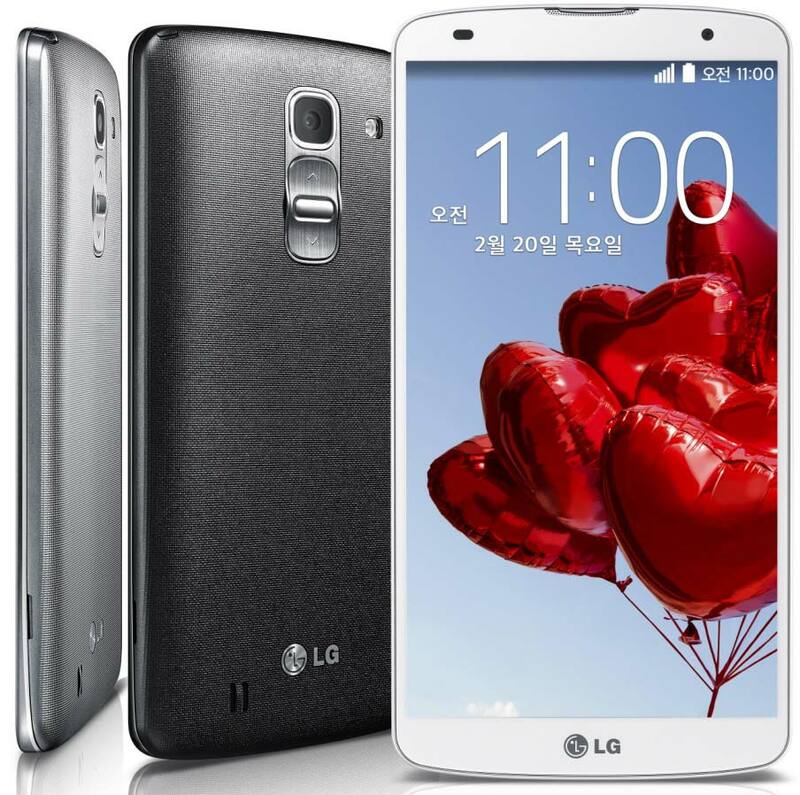 The LG G Pro 2 have powerful 2.26GHz Qualcomm Snapdragon 800 SoC with quad-core CPU and 3GB of RAM like Samsung Galaxy S3. The internal memory is limited to 16 or 32GB which can be further expanded via microSD card slot. The 13MP camera of the LG G Pro 2 features enhanced optical image stabilization (OIS+) and the option to adjust the focus of a photo after its capture. Video recording capabilities include 4K UHD and 720p @ 120 fps. The front-facing camera is a 2.1MP unit. LG G Pro 2 has Android 4.4 KitKat inside. LG has added a host of new features to its proprietary Emotional UX. Knock Code is one of them – it allows user to unlock his/her device by knocking on its display using a specific combination. LG G Pro 2 has all the connectivity options include LTE-A, Wi-Fi a/b/g/n/ac, NFC, Bluetooth 4.0, SlimPort, and microUSB port. The phablet measures 157.9 × 81.9 × 8.3 mm, while its weight tips the scale at 172 grams. The phablet is powered by a removable 3,200mAh battery. There’s no word on international pricing and availability just yet. The phablet will be available in three colors – black, white, and titanium.